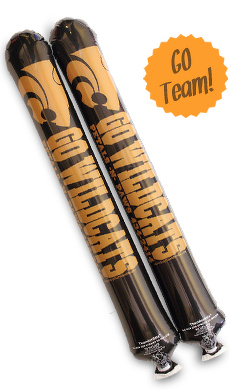 Our goal at Original Thunder Stix is to deliver the finest products to you at the lowest price possible. Using a variety of distribution methods, we can stay very competitively priced while offering the level of service you deserve. If you find a lower price anywhere on the Net for one of our products, let us know and we'll do our best to beat it! Simply send an email to sales@yourpromopeople.com with "Lower Price" in the subject line. In the email, please include the item number and link to website where you found the lower price and we will be more than happy to assist you.